Apply for the chance to focus on your dream project for a year. If you're an artist or a recent graduate looking to kickstart your career, Adobe's Creative Residency could be the opportunity you've been waiting for. The year-long programme, which gives selected artists the chance to develop their career through a personal passion project, is now open for applications for creatives from Canada, Germany, the US, UK and Japan. 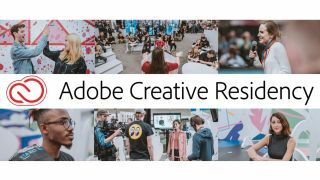 Offering artists the support of a full salary, health benefits, mentorship and access to its software, Adobe's Creative Residency is a fantastic chance to build your dream career around your creative vision. On top of this, the course also includes valuable speaking opportunities and project-specific support to help make your work the best it can be. Applications for the 2019 Adobe Creative Residency run until 7 February. The programme welcomes a variety of ideas and projects, however Adobe has specified that they are keen to work with candidates who have a strong focus on UI/UK, short-form online video, illustration (digital drawing and painting), design (digital and print) and photography. Can't see your speciality on that list? Don't worry, Adobe will still welcome your portfolio. The company wants to see work that you believe in, and that you would still pursue even if you didn't get into the programme. It's that sort of work that stands out. If you're interested in applying, Adobe has put together a bunch of useful resources to help you out. The Creative Residency site is packed with useful information, including an FAQ page and a whole section dedicated to how to apply. When applying, be sure to ask yourself some questions about what your project wants to achieve, and what materials or support you will need. There isn't a one-size-fits-all approach when it comes to applying, so feel free to let your creativity loose and play up the strengths of your style. Adobe will also consider your previous work when judging your application. This includes your flexibility to try new things, previous work experience, and drive to take on new challenges. Three past projects will be taken into account, so it's a good idea to include links to your online portfolio. If it's in need of an update, be sure to take a look at our beautiful examples of design portfolios for inspiration. To help you get started with your application, previous resident Anna Daviscourt has put together a video (above) of 5 things to keep in mind before you submit your work. Meanwhile, previous Creative Resident Isabel Lea had this to say about her experience on the programme. "I run a creative studio called ATYPICAL and with day to day client work it can be hard to focus on more experimental work. The Adobe Residency gave me a year to really push the boundaries of what’s possible with design." "This year I’ve been exploring how we make language visible through typography in a more playful and experimental way. The programme doesn’t just accelerate your creativity in your field but your career as a whole. Not only have I made typefaces, design products and installations but I’ve also been given platforms to share my journey through conferences, workshops, talks and livestreams." "All of this combined has helped me push my work forward in unexpected ways and connect with opportunities I never thought possible."